As a Professor of Psychology and Psychiatry at UCLA, my students, colleagues around the University and I are engaged in an endeavor to improve the quality of life of individuals who suffer from major mental disorders. As committed as we are to making tangible progress towards improving the prognosis and welfare of people suffering from psychoses or addictions, we also concern ourselves with the quality of life of the animals who are the subjects of research, both because we care, and because the quality of our science requires it. To date, a variety of postings on the Speaking of Research website have addressed methods (including the “3 Rs”) for improving the welfare of animals involved in research; here, I outline the scientific necessity for doing so wherever possible. In part, our research focuses on discovering the biological determinants of naturally-occurring differences in brain function and behavior. In humans, these individual differences, whether environmentally or genetically determined, can often index vulnerability for mental disorders. For example, young people who are more impulsive are more likely to drink, smoke, take illicit drugs and engage in high-risk sexual behavior – as well as to develop complications stemming from those behaviors. 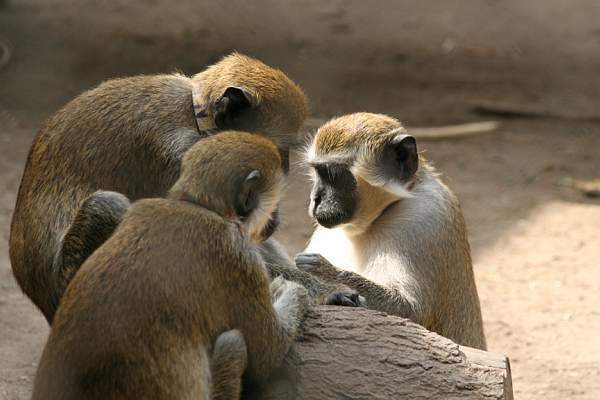 We find that, like people, some monkeys will impulsively engage themselves in new and risky situations, while others approach more cautiously and try to keep a low profile. An overlapping set of genes influence these traits in monkeys and in man. Therefore, the animal model represents a very powerful tool to locate unknown genes that influence human traits, and more importantly, to understand (at the biochemical, genomic and cognitive levels) how those genes act to influence temperament and behavior. Without insights about the basic biological determinants of these traits – something not discoverable in humans at the present time – prevention or treatment strategies of any type are difficult or impossible to create. With these goals in mind, our research program very much depends upon the ability of our animals to exhibit their natural behavioral repertoire, whilst still being maintained under controlled conditions that allow us to isolate external influences and to perform our studies. Consequently, we maintain our animals in social groups, in open air arenas with access to sunlight, with a wide array of environmental stimuli that promote normal foraging and social behaviors. 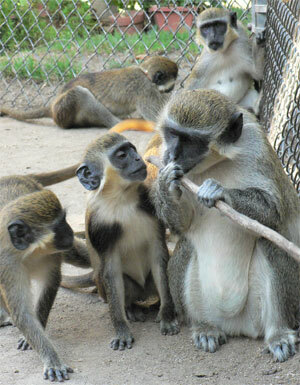 Many of our social groups include families, and most monkeys are raised by their mothers until puberty. Early separation would produce an “experimental” effect on behavior that would alter the “natural” expression of their traits. In the case of our studies, the conditions needed for enhancing animal welfare and the conditions needed for scientific discovery are the same, and we – like many other scientists – are dedicated to ensuring that we never impede the welfare of our animals when it is unnecessary or unjustified. Poor animal welfare often implies poor science; we avoid both with unrelenting diligence. Posted on May 25, 2009 October 6, 2013 by EditorPosted in News, Science NewsTagged 3Rs, addiction, behavior, david jentsch, genetics, J. David Jentsch, jentsch, psychoses, pyschology and psychiatry, speaking of research, ucla, welfare. Previous Previous post: Positive Comments for Pro-Test Petition!! How can you justify this pseudo science ? IF YOU WEREHONEST you would simply be truthful and state that you do this violent crap to animals for money and for recognition..nothing else. you scream about violence, yet you and those like you are the worst perpetrators against sentient beings. and the comment that they are NON HUMAN primates…>>> makes it all ok does it. you are nothing bu a nasty little vivisector. and your eyebrows make u look like a fukk up !!! Please speak to others with respect. Researchers are rarely recognised for their methods but for their results – animal research brings results and so the researchers get recognition. I doubt animal researchers are paid more than any other type of researcher. Research is crucial for the future of medicines that people like yourself clearly take for granted. Excellent posting David! You bring to light a concept that is often difficult to get across to those not involved in animal research; that animal welfare is critical to the end results. Poor animal care leads to poor results. While there will always be a minority of exceptions, I have found that those responsible for animal care take their job very seriously and truly care about the welfare of the animals in their care. Unfortunately due to the PR machine of the animal rights organizations many only see images of abuse, many that are decades old, of poor conditions. These are not at all the norm.